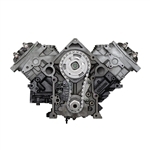 We are one of the nation's leading supplier of remanufactured, rebuilt and used engines, transmissions, differentials, transfer cases & cylinder heads. 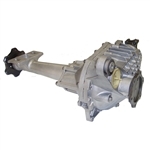 We provide you with an industry-leading, nationwide parts & labor warranty of up to 7 years! 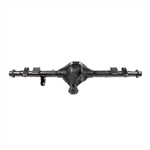 We deliver directly to your home, or the repair shop of your choice. Because all cores must be returned for recycling, we'll pick it up for FREE! 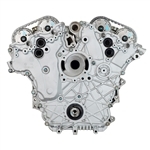 We carry over 3000 rebuilt vehicle engines, in stock throughout our distribution network, allowing us to yield a 1-3 day delivery time to most of the continental U.S..
All of our remanufactured car & truck engines are delivered completely assembled with gaskets and an oil pump. 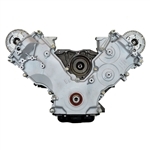 The replacement engines supplied, are fully updated utilizing all known OEM & aftermarket repairs, to correct performance problems with the engine and ensure that you receive an improved product over the original factory design. 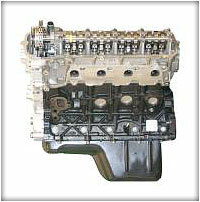 In some cases our engines are available with oil pans, timing covers & valve covers, depending upon applications. 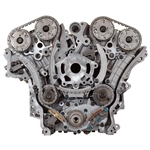 When complete, all of our replacement engines are fully tested to confirm proper operability at installation. 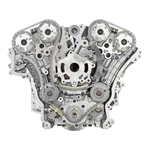 Package this with up to a 7 YEAR Million-Mile (No-Fault) parts & labor warranty - and you can see that we are offering our customers the highest quality rebuilt auto & truck engines, at the best price with the best service, and greatest warranty available in the industry!